Armed security guards will begin patrolling one of the most popular shopping areas in downtown Chicago. 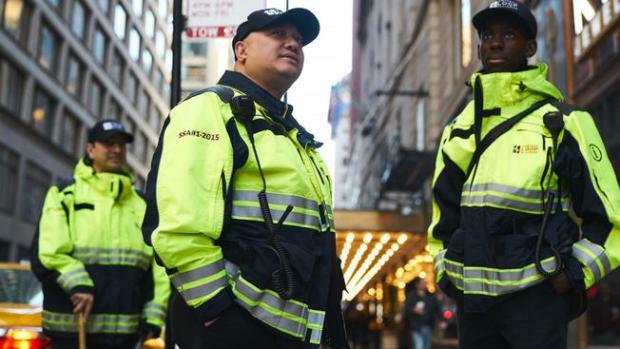 The guards, which will be provided by HLSA Security according to a press release from the Chicago Loop Alliance (CLA), will patrol State Street between Wacker Drive and Congress Parkway beginning on Thursday morning. The guards will be in uniform, be armed, have badges, and will be able to make arrests according to the CLA. According to the press release, the guards will patrol Thursdays between 10:30 a.m. and 2:30 p.m., and between 4:30 p.m. and 8:30 p.m.
Armed security guards will begin patrolling one of the most popular shopping areas in downtown Chicago. NBC 5's Sandra Torres reports. On Fridays, guards will patrol from 10:30 a.m. to 2:30 p.m. and 6:30-10:30 p.m. They will also be on patrol between 2 and 10 p.m. on Saturdays, with hours increasing in May. Ald. Reilly, who represents the 42nd Ward in Chicago, expressed support for the plan, saying that he is “grateful” to the CLA for making the decision. Armed security guards will begin patrolling one of the most popular shopping areas in downtown Chicago. Michelle Relerford reports. “For years, I’ve been advocating for new methods to add more security personnel downtown, to help supplement the Chicago Police Department’s good work,” he said. The company says that businesses along the street, including the Palmer House, have voiced support for the plan to have armed guards on the street.